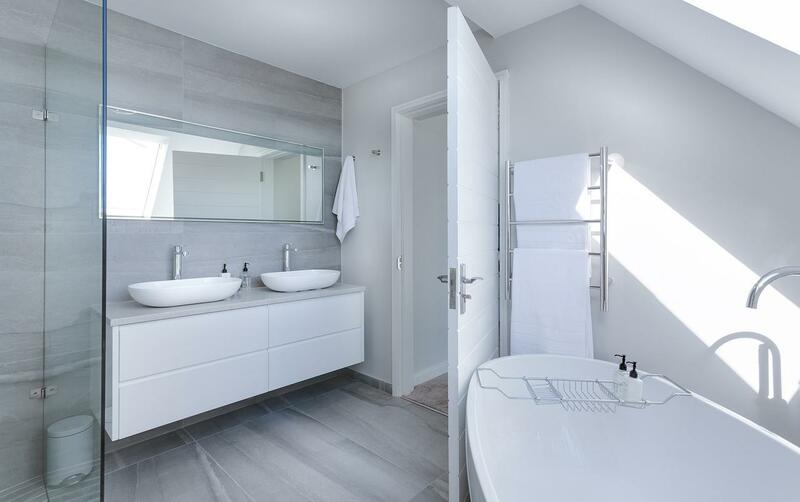 If your bathroom is looking a bit unkempt and dated, read on. Below, I share with you some fast, easy and relatively inexpensive ways to solve this problem. Installing a nice mirror is a great way of making a drab bathroom look brighter. There are plenty of inexpensive bathroom mirrors available from online retailers like better bathrooms. Even the ones with built-in LEDs in the frame do not cost much. So, it is really easy to get your hands on a nice one that will instantly make your bathroom feel more modern. If your tiles have been in place for many years, the chances are they will be looking a little drab by now. Sometimes, all they need is a steam clean. Other times, you will need to go a bit further and use some grout restorer as well. If you want to change the look of the tiles completely, consider buying some specialist spray paint. Tile paint is becoming more widely available and once you get the hang of the technique it is surprisingly easy to apply. Another approach that works well is to use decals. Again, they are far easier to find than they used to be. You can create some really interesting effects using shop bought tile decals or customised ones that feature your own designs. 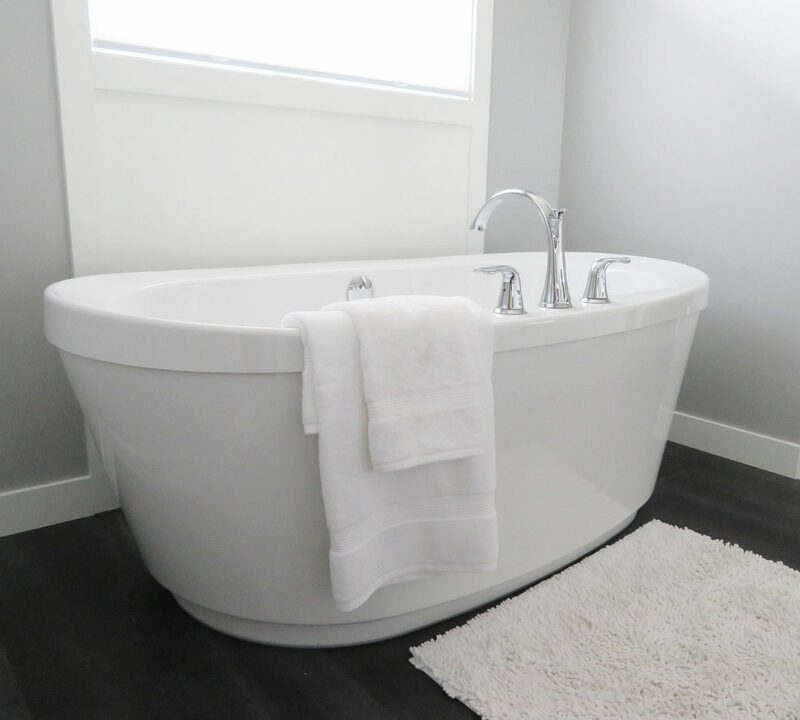 In a lot of homes, it is the flooring that lets the bathroom down. An awful lot of people never think to re-tile the floor. They see it as being a big messy job that they would rather avoid. This is understandable, but there is no need to rip up your old tiles and lay new ones. Instead, you can just buy some tile-effect lino. Provided there is enough clearance between the bottom of your bathroom door and the floor you will not even have to take up your old tiles. You can just lay the lino over the top and secure it using the right glue. An untidy bathroom is never going to look very nice. So, it is important to have a place for everything. Updating your storage need not cost a fortune. You can easily pick up a nice bathroom cabinet in the sales. Or, buy a set of tall, narrow drawers and paint them with waterproof paint to create a good-looking and useful storage space. If you want more inexpensive bathroom storage ideas, just click the link. When you do you will be taken to an article that shows you more than 40 easy ways to create additional storage in your bathroom. Use plants to decorate a corner of your bathroom. They are attractive and will cleanse the air. That is a real bonus in a room that may not have any windows. The list of plants that will grow well in a bathroom is a long one and includes aloe vera, bamboo, and spider plants. Brit Mums Live | Should I go?